Find the next shape in a pattern. 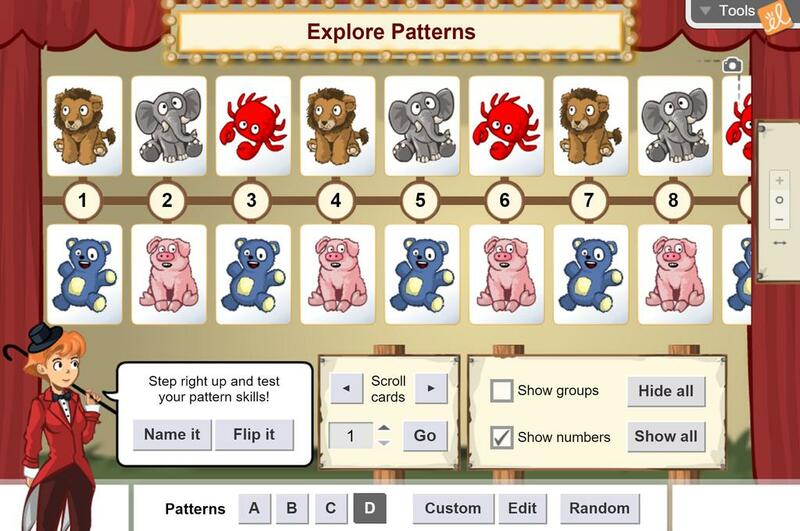 Predict where you will find the next given shape in a pattern. Predict what shape will appear in any given term of a repeating pattern. Find the least common multiple of two numbers, and use this information to predict when shapes in two patterns will coincide. This Gizmo's activity would be easily adapted to grades younger than third.